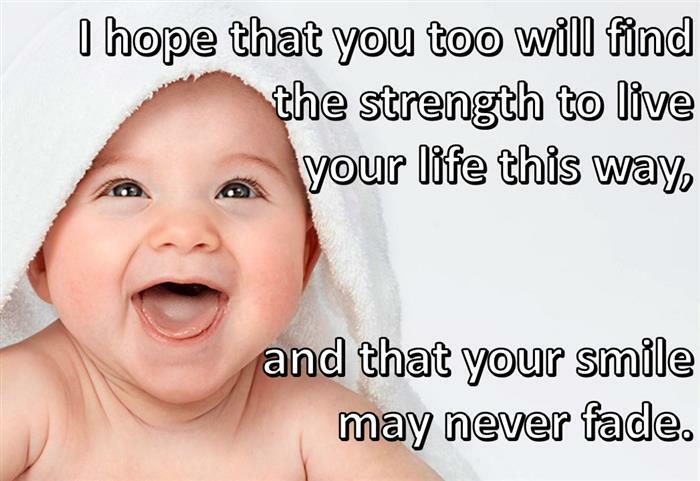 creates a positive quality of life. are focusing attention on Qigong for Seniors. Dr. Herbert Benson, Mind/Body Medical Institute, Harvard Medical School reports that the relaxation response brought about by practicing QiGong techniques stops the stress response and starts the healing process. QiGong is the body's natural antidote for stress. We only need to learn how to use it effectively. Western scientific research has proven the value of QiGong to reduce stress. Considered a Longevity Practice, Qigong can improve cardiovascular, respiratory circulation, lymph and digestive function, strengthen the immune system--all of which help to maintain health into old age. It is never too late to begin to learn to manage our stress--safely and effectively. Qigong can be adapted to all levels of wellness and physical ability, and can easily be practiced when sitting in a chair. a non-drug medical prescription for a more balanced and vital, and longer life. 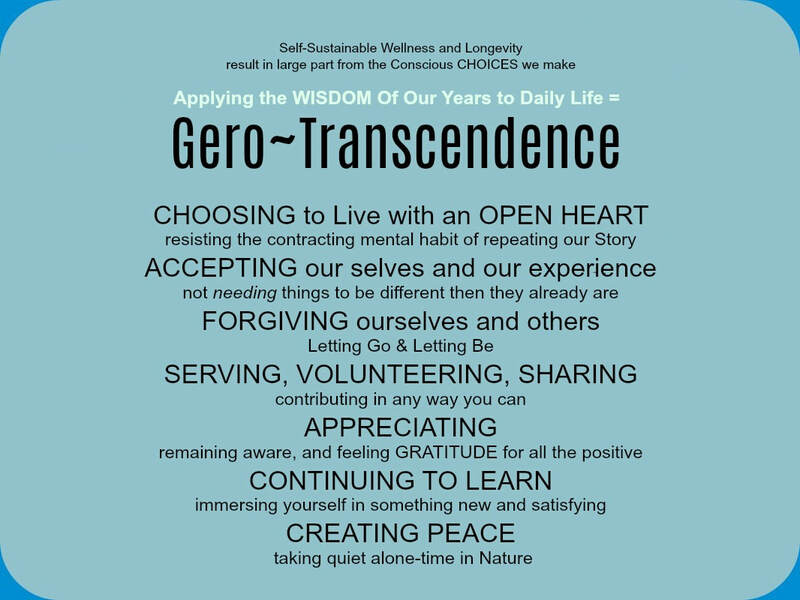 One of the most powerful energetic messages we can send to our mind/body: "I AM CONTENT WITH MYSELF"
GEROTRANSCENDENCE is a term used to describe those seniors who have gained, or retained, an unconditional love and acceptance of themselves, of others and of life - despite its challenging circumstances and its mysteries. This attitude brings about not only WISDOM but - as modern medicine is showing - WELLNESS in LONGEVITY as well. This is enlightenment; a marriage or integration in Oneness of the "worldly" and the "spiritual" dimensions - an understanding that the two are not separate aspects of Being Human. These wise elders have let drop their acquisition of many material things, have shed their masks and the roles they felt they needed to play [in order to be loved and accepted], are happy spending time alone, as they no longer feel the need to be entertained as much as in their youth. They appreciate community and connection too. And, they are making the most of their time. As one over 75, I know first hand the importance of a relaxed body and mind, and the benefits of regular practice of stress-free movement to retain or re-gain flexibility. This is part of the reason that I enjoy working with wise elders. I offered well-attended classes to seniors at Kaiser Permanente and through Kaunoa Senior Services on Maui for two years. Now, I am teaching primarily in California, where I have expanded my HEART, MIND & HANDS / HEALING WITH CHI program to include numerous pro-Active Adult Communities. Stress management, balance and flexibility are on-going challenges facing our aging population. Qigong exercises and Hands-on energy therapy ("therapeutic touch") have been proven to be extremely beneficial in addressing these issues. Add a dose of laughter into the mix, and we have a prescription for wellness--naturally. My motto: "If there's strain, there's NO gain"
I have been extremely gratified by the participation and the level of interest they have shown. Several of my pro-active students have taken the initiative to email their friends and yahoo groups in order to get the word out and increase attendance and the powerful energy field we are creating each time we meet. Many people have reported having a greater depth of relaxation and stress relief, and in several cases the lessening or abatement of physical pain since beginning practice. These are the kinds of results that are possible with integrated Healing practices including forms of QiGong created by Grandmaster Dr. Pang Ming: Lift Chi Up/Pour Chi Down Method, Spinal Bone Marrow, 3-Center Standing. I look forward to our continued collective wellness enhancement over the months and years to come. Many of you find yourselves in the position of responsibility for the care of a dependent parent in addition to showing up for work every day. You are extremely stressed, not sleeping well, anxious, tired. A 20 minute easy-to-do movement meditation known as LIFT CHI UP/ POUR CHI DOWN can give you back the stamina you need to accomplish all you need to do. Medical science backs up this claim. Find a local qigong class and check it out for yourself. Or, see if your employer is open to having lunch time program at work.